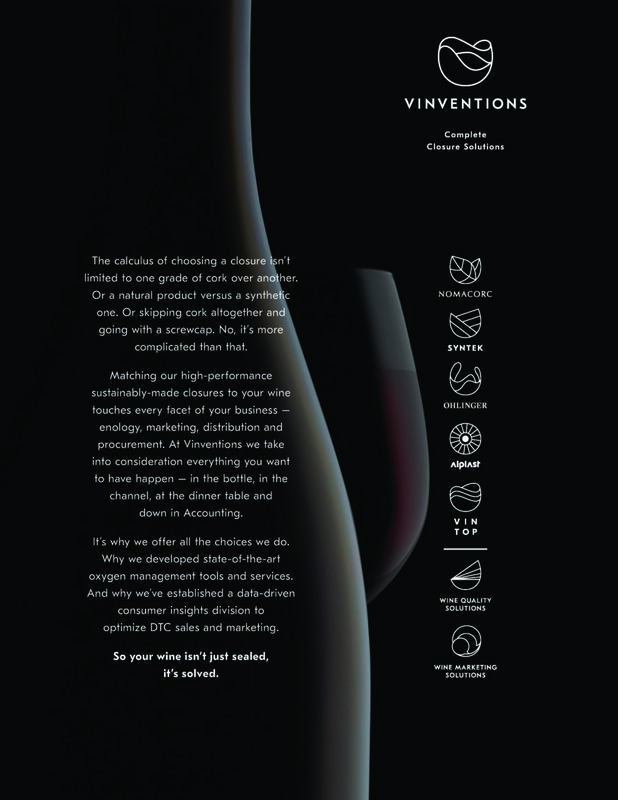 Vinventions is a global holding company that offers everything from natural cork to plantcorc to screwcaps, in addition to enological and marketing services. 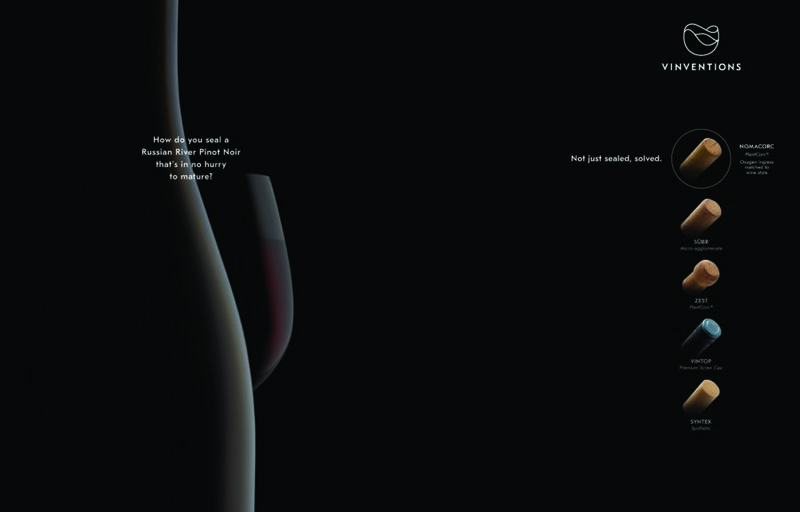 They came to us for a campaign to introduce the Vinventions parent-brand that could also advertise their individual product-brands. That’s a tall order in itself but we also had to consider the language issues inherent in global marketing, as well as the fact that in every market the product mix is different. 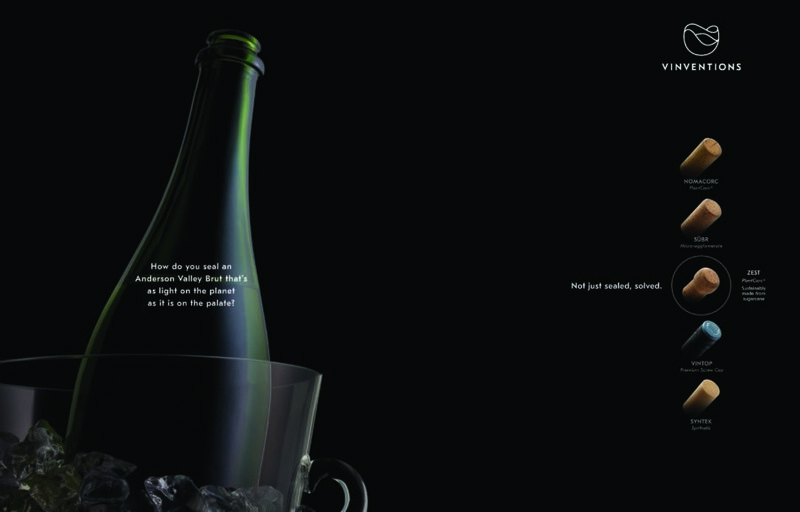 We came up with a deceptively clever approach that’s easy to customize and light on copy to obviate translation issues. 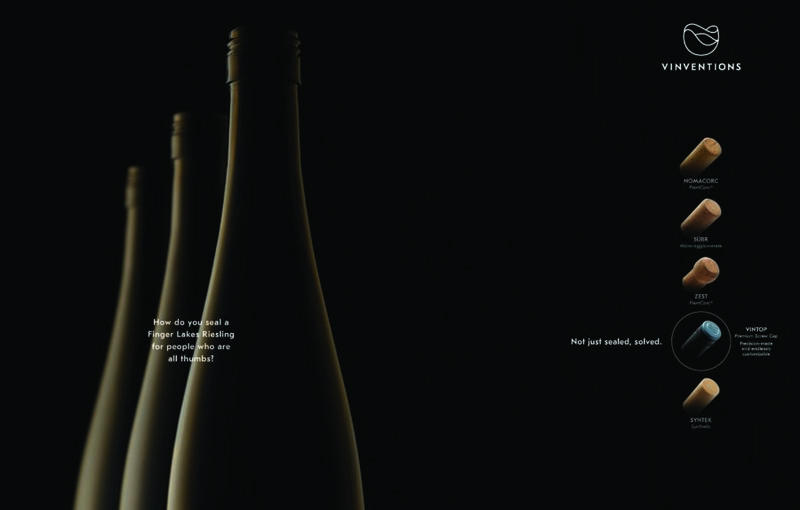 A problem-solution headline structure let us showcase multiple products while spotlighting the one closure best suited to the specific bottling challenge. These ads are a clinic in expression and compression. 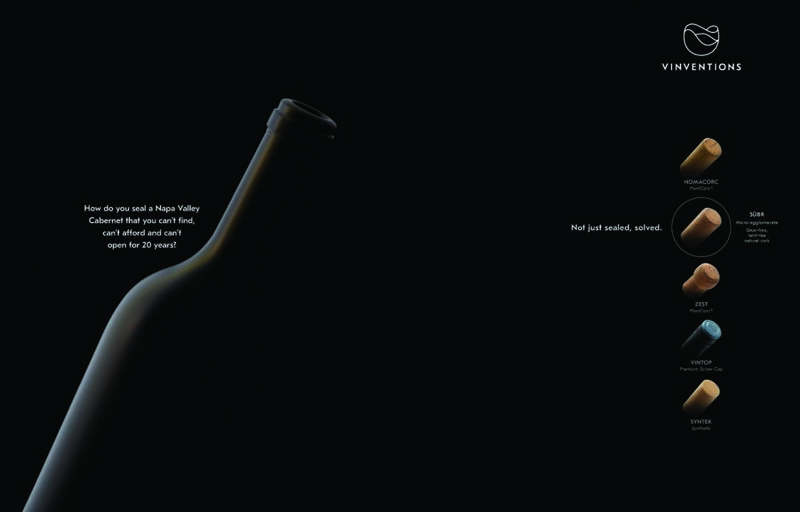 How do you seal a Russian River Pinot Noir that’s in no hurry to mature? can’t afford and can’t open for 20 years? that’s as light on its feet as it is on the planet? How do you seal a Finger Lakes Riesling for people who are all thumbs? everything if only people bothered to read it.